Let's add it to the advertisement sidebar as well. The star UI could appear alongside the X when the mouse hovers over the ad. We actually implemented this feature a while back, as an experiment. 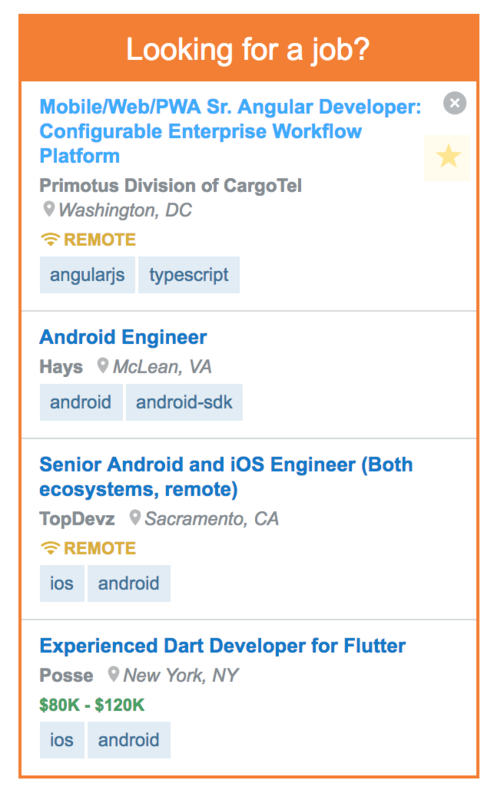 You could favorite a job directly from the job ads. But it turned out this feature had very low usage, so we didn't graduate the experiment. As JonH mentioned in his comment, you can click the job and then favorite it. It's just one click away! Integrating Google Translate service in Stack Overflow? Could Stack Overflow highlight the user who asked the question?